Fairmont Hotels & Resorts enjoys a worldwide reputation for accommodation excellence, with a global portfolio that includes historic icons, elegant resorts and modern city-centre properties – each of which offers an unrivaled presence that is uniquely “Fairmont”. 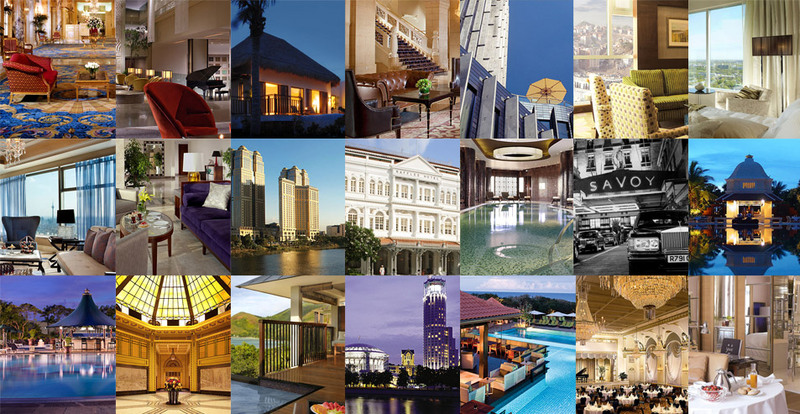 Raffles Hotels & Resorts epitomizes enchanting experiences, embodying global sophistication and residential charm. Imbued with heartfelt service that is intuitive and unobtrusive “like a gentle breeze”, its hotels are rated as among the best in the world and are elevated as legends and landmarks, beyond mere hotels and resorts. Swissôtel Hotels & Resorts is an award winning and distinctive group of deluxe hotels, combining renowned Swiss hospitality with contemporary design, personalised service, charm and efficiency. Located in popular gateway destinations and city centres, the hotels provide convenient access to business and shopping districts. The group’s Swiss heritage ensures organisational competence, attention to detail, safety and a superlative guest experience.